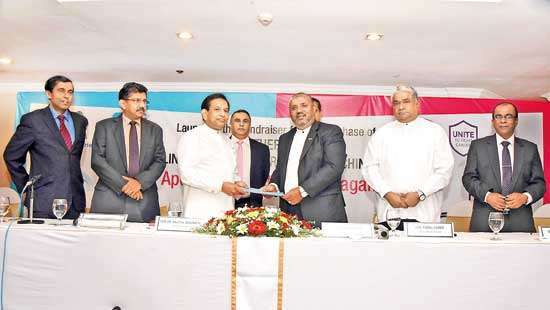 The fuel pricing formula was revealed by Finance MinisterManagala Samaraweera today at a press conference. “I promised to reveal the price formula some time back. This is a simple one. It is V1+V2+V3+V4=MRP( maximum retail price). This is what we used as the fuel price formula” he said. Some politicians said that they saw the formula but didn't understand. I can imagine their educational standard if they can't understand this simple additions. May be Sub-Components such as Weighted average Premium/Evaporation Calculation/Exchange Rate Fluctuation/Holding Cost etc. You don’t need a degree in Mathematics to understand this simple computation. It would be better if the values for each component is made public so the general public is aware. My apologies.Just saw it.Well done! A series of random numbers, which are not independently verifiable or predictable, are used in the arrival of a major factor in the fuel management of large users. Current percentages in the form of a pie chart at least, would have put each component into an understandable perspective. Now with the second page it makes sense. So for every Rs.100 we pay you pocket Rs.35 from it. Great. Now Minister, will there also be a salary formula so we don't drop dead after you beat us - the only workers - with absurd price punches like this on essentials? Strange formula this - fuel and soon electricity and water will have an elastic formula, but salaries are inelastic! It's a strange country we live in now. @shaWe are not against paying taxes if it is put into good use also everyone pays their dues.Do you see that is happening ??. This is very basic. It is not a formula (or a suthrayak as JO says) in the sense of an abstruse chemical or physical one. I am sure this is what was used since DAY 01 as it is so obvious as found even in a Grade V exam paper. What ado about nothing. Only I find no profit added in the MRP. So they are selling the fuel with no profit. That is fantastc. well done Petroleum Corporation. Taxation is lower that expected and why on earth did they act as if this was some "duckworth and lewis" like formular. This is pretty straight forward. Because the other costs are just direct per litre but admin cost is on the value (V1 V2 V3) and thruput of each product. 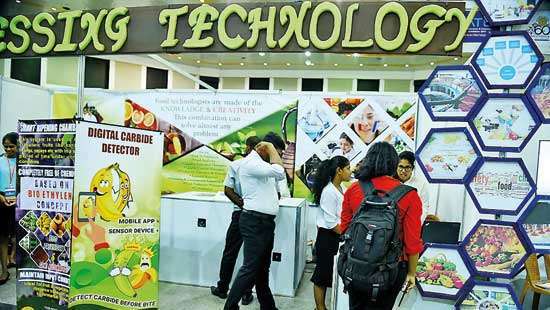 Some products sales volume less some more and the staff, equipment used and finance cost (Petrol more Kero less etc) in each product different. 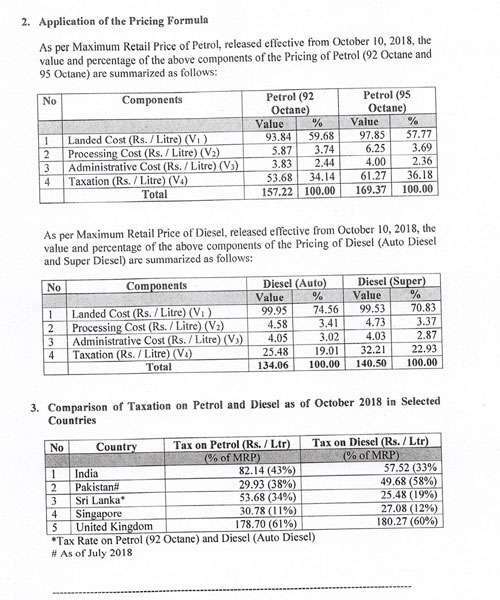 Appeal to HE President and Hon Prime Minister,On behalf of the 22 million Sri Lankan I appeal to you to exempt petrol, diesel and gas from all taxes and duties, when the crude oil prices are high. This unnecessarily inflates the price and the poor people suffer so much. Please have a heart for the suffering masses. It is just a formula which has been formulated with no concern about the consequences. Formula is good rather than going to hedging. Why don't you Keep taxes for constant even buying price gone up or constant V = 30. Singapore platts is higher than $3 usually by MOPAG. ( mean of platts Arabian gulf) . Why not take from Middle East and save that $3? If it’s 50,000 mt refined fuel, it’s USD 150,000 savings. Even wasted the ink in writing this. This is called a cost calculation breakdown you DUMMIES! Mahinda Rajapaksha Pohottuwa = Victory 1 Victory 2 Victory 3 Victory 4. This formula is so difficult that I fainted immediately after looking at it. In the beginning they had no formula. They just decided the retail price against the buying and processing cost of a crud barrel. 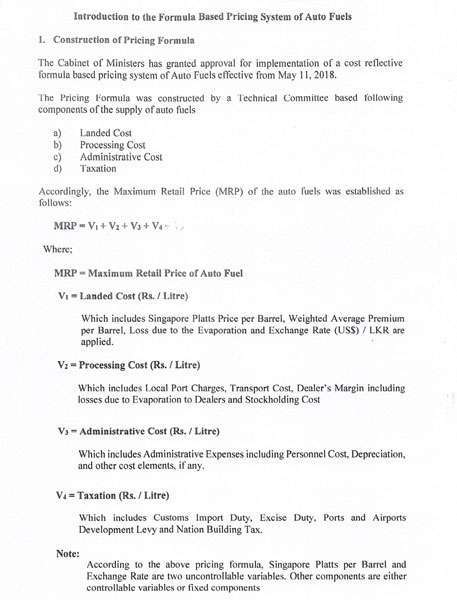 It can't be called a formula.However since it needs to be published somehow, here it is the most complicated formula even the finance minister didn't get. 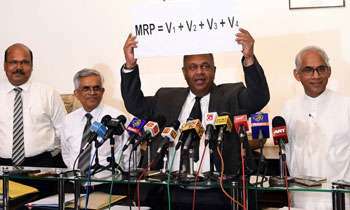 mrp = x y z They know we'd brag this for few days and as always will move on as typical Sri Lankans. Well done Mangala. I think you are now ready to sit the Grade 3 exam. So according to the formula government and petroleum corporation don't make any profit by selling fuel? How are they going to pay back the loans and losses made back in the days? Ha HaIt took many years for these guys to come up with this trivial formula - adding 4 numbers should not take this longThis explains why this county is stagnant. I don’t know why people are mad about this equation. It’s true that this is a simple cost calculation. However, this is a similar equation to the ones used by other countries as Canada. What difference would it make by making an equation complicated? All of you who blame the equation, could you post an example equation that you are expecting for this? The proudest thing that the government could present in three and a half years. Bravo! Look at the overall picture of other countries.Only Singapore charges a lower Tax compared to Sri Lanka and the rest of the countries charge a higher rate of Tax. It is a great effort by every Government in Sri Lanka to keep the price of Fuel within reachable level of ordinary citizen. This compared to the level of income in other countries. JO and some reporters at the cabinet decision meeting made such a fuss is nothing but a joke. 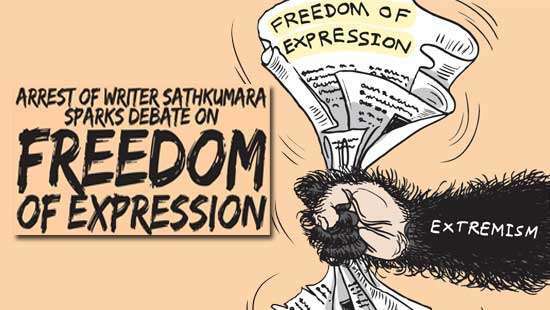 It sounds like MRP means "Mahinda Rajapaksha Problems' (MRP=v1 v2..). So, where is V5 and V6?V5 is the cost of back handers.V6 profit for CPCThos formula is completely wrong and we've been paying far too little at the pumps.Vhange and raise the price immediately! Equation is okey, please solve the equation with the data's you have and show how last prices were calculated, show few examples. This formula is like a top abstraction of a software. It seems very simple from outside but how much randomness inside the variables? This is not clearly the correct formula but a fraud to cheat the people. They can change any of these variables according to their will since we don't know how they are calculated.